As I saw one line from a friend, I down loaded a copy. It’s out of the ordinary — strange even. Good strange though. It’s irritatingly good that about 10 pages before the book ends, it makes me want to read it nonstop. and then, it ends. The story of Charlie and Silas. I’ll grasp at any piece of her that might convince me I’m not losing my mind. She’s beautiful but in a shameful way. Everything about her is captivating, like the aftermath of a storm. She smiles like she has one of my secrets. Her eyes are like two open books and I suddenly want to devour every page. Her endearment is full of sarcasm. 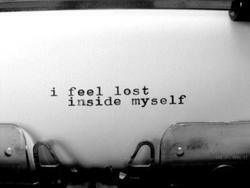 uneasiness takes over inside of me, pumping through my veins until it settles in my heart. I think if you cheat, it should be with someone worthy of your sin. His photos pack a punch – just like his words. Her eyes are screaming a thousand things. My only familiar thing in a world of inconsistency and confusion. You have no idea how many times a day I think about invading your body. All my pieces and parts are going to fit into all your pieces and parts. I can’t stop the stupid smile plastered across my face. You feeling it yet? Do i make your heart go pitter patter? I swallow what feels like three entire heartbeats. And I wonder if he always had this effect on me? What the Hell Hoover? Release the next book already!